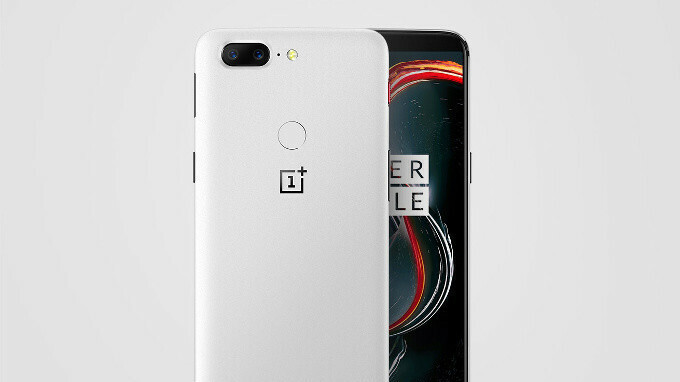 The OnePlus 5T Sandstone White is already out of stock, "gone in 2 hours"
Released earlier today (January 9) in all countries where OnePlus is officially selling phones, the Sandstone White variant of the OnePlus 5T is already out of stock - at least in the US, Canada, and the UK. According to OnePlus, the Sandstone White 5T was "gone in 2 hours." This doesn't necessarily mean that a high number of customers bought the smartphone, as we don't know how many units OnePlus has manufactured. In any case, OnePlus said from the beginning that this was a "limited edition." So if you were thinking of getting the OnePlus 5T in this new color, you're now too late. Apart from the fresh (and quite nice) color and rear texture, the OnePlus 5T Sandstone White doesn't differ from the Midnight Black variant of the phone with 8 GB of RAM and 128 GB of storage space - that's why it's priced at $549. We're going to ask OnePlus if it's planning to make the Sandstone White 5T available again at some point. Stay tuned. "As the Sandstone White was a limited edition, there are no immediate plans to restock. We are also very pleased with how popular it has proved in these regions." Not surprised it's one good lookin phone. Still nowhere near Xiaomi's gone in 2 minutes.